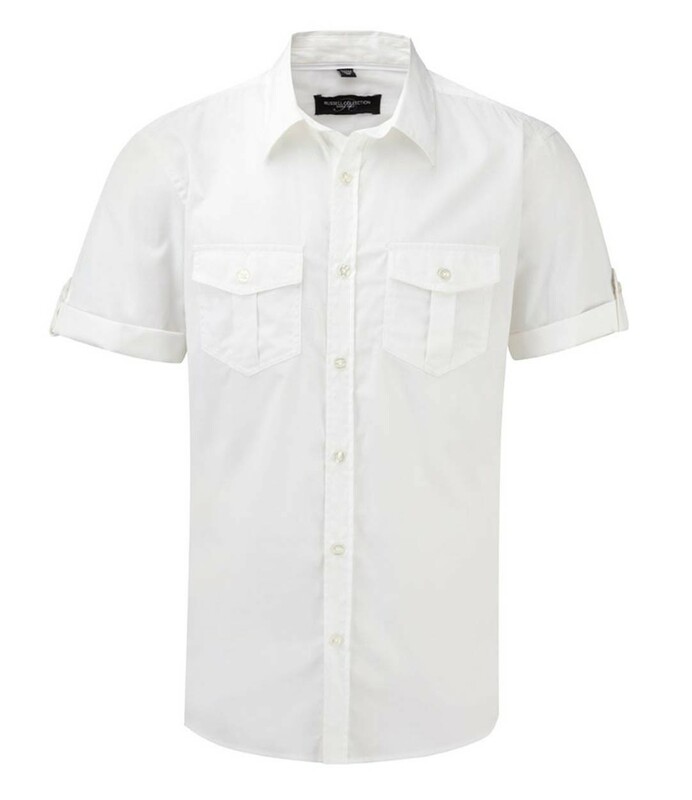 A short sleeve twill shirt ideal for the warm summer months. 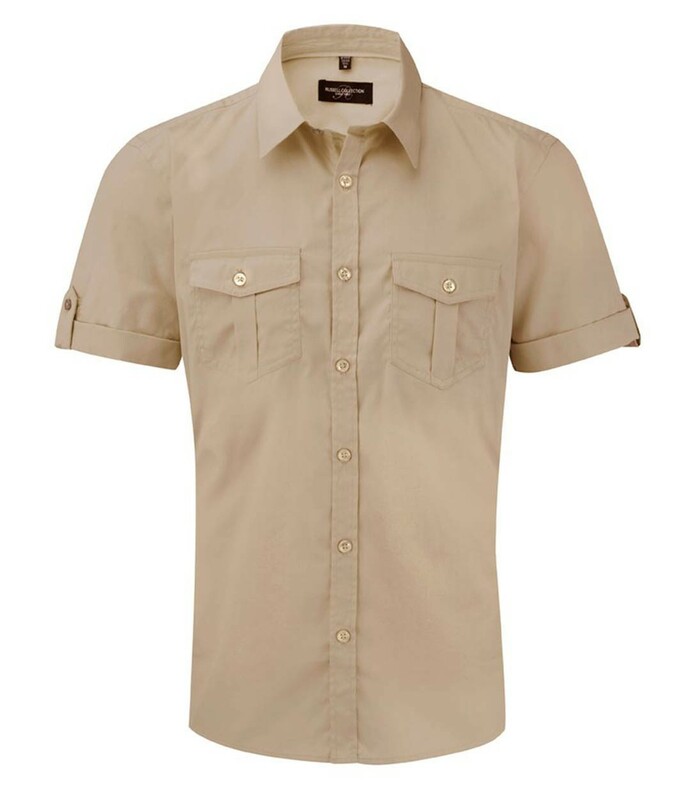 The Russell Collection 919M Short Sleeve Twill Roll Shirt in 100% cotton twill with a peached finish. Semi-fitted. Semi cut-away, relaxed collar. Matching herringbone tape along neck seam. Matching buttons. Patch pockets on chest, with flap and button. Matching herringbone tape tabs on side seam hem. 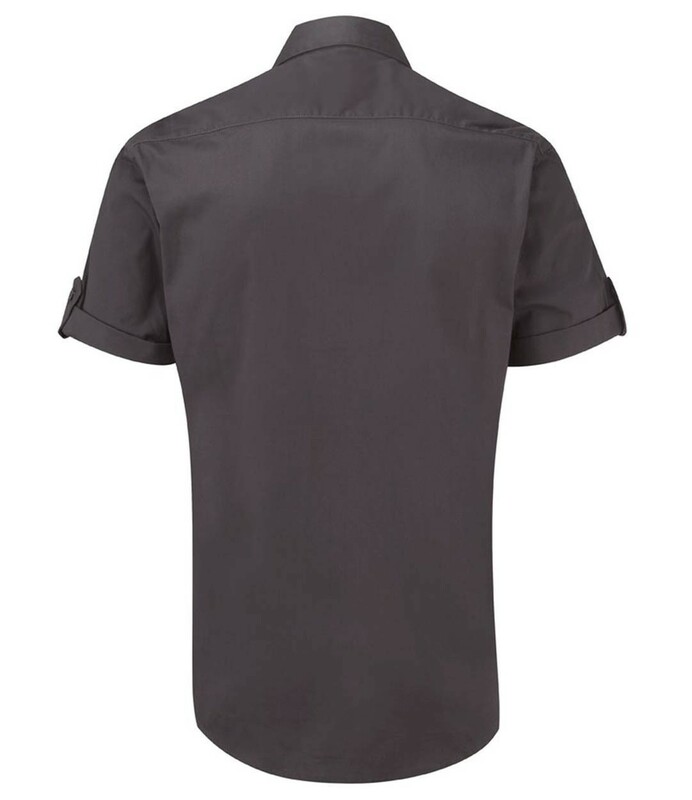 Roll up short sleeves with tab fastening. 130 gsm fabric weight. 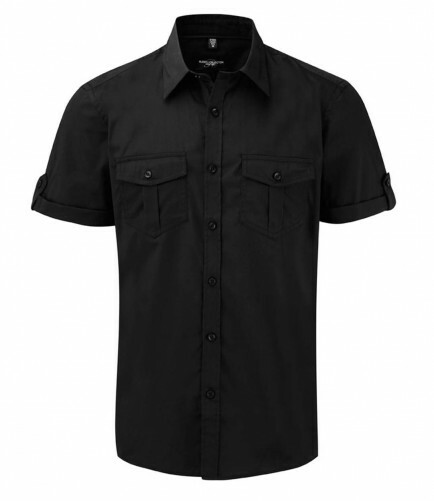 The Russell Collection 919M Short Sleeve Twill Roll Shirt is machine washable.